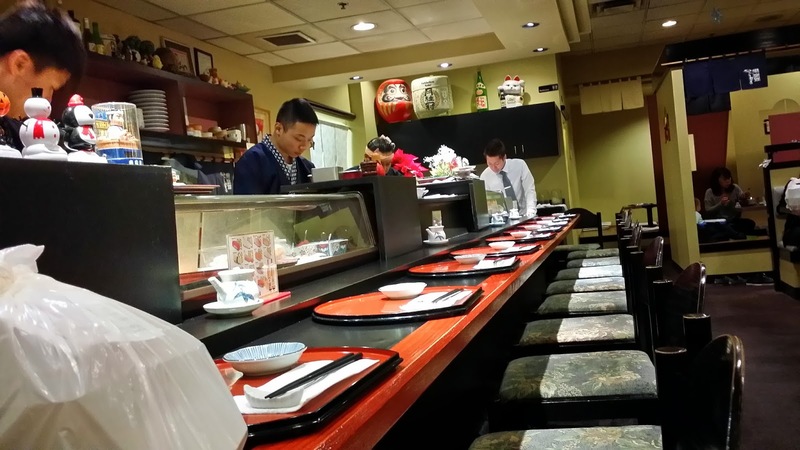 Isami Sushi is an authentic Japanese restaurant located adjacent to Staples on Kingsway, near Crystal Mall. I was originally going to Sushi Garden for dinner, but since I was starving and the line was enormous, I opted for Isami Sushi instead, a few doors down. When you first step into Isami Sushi, the ambience is just different from that of other non-Japanese run sushi restaurants. At Isami, you feel like you're in Japan. Even the air smells slightly of miso and sushi rice! There were 3 chefs working behind the counter, and the lady who rang up my bill was very polite. While I was standing waiting for my takeout, she offered me a seat, and when I received my order, the girl who handed it to me was all smiles. 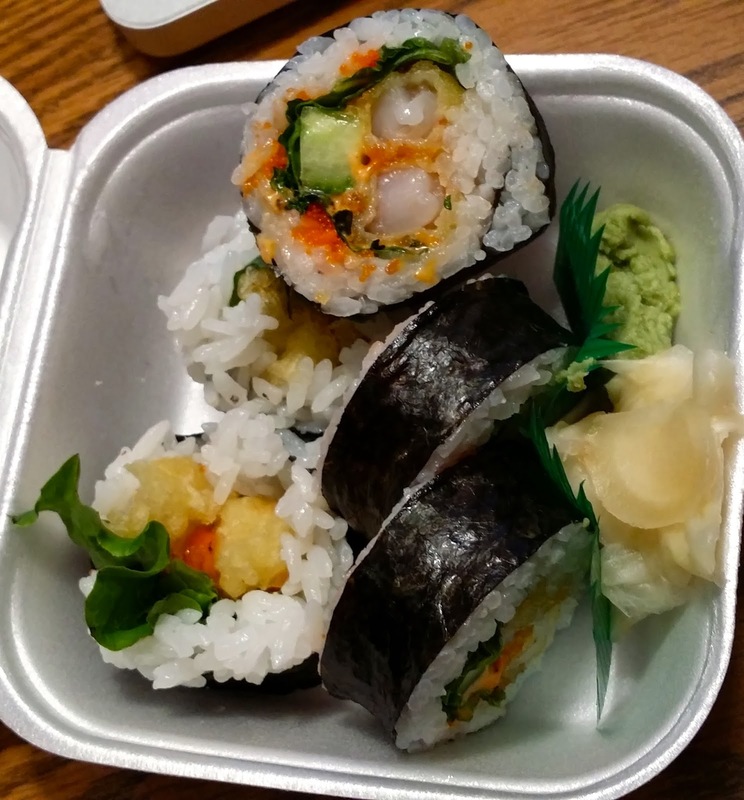 I opted for an Assorted Tempura (my go to) and a dynamite roll, as I was craving some rice. The portion sizes at Isami are on the smaller side, but you definitely get quality over quantity, which I prefer. I wasn't expecting much, since I had ordered a rather basic meal, but boy, was I blown away!! Different packaging when I went on two separate occasions. Let me start off my saying, that I was impressed with the care that was put into assembling this roll. 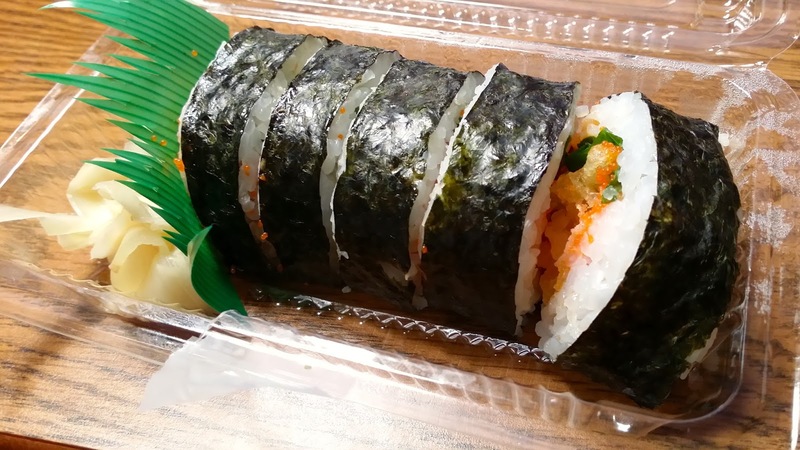 The Dynamite Roll wasn't hastily put together, and didn't fall apart. You only get 5 pieces, but I didn't really mind since it was DELICIOUS! 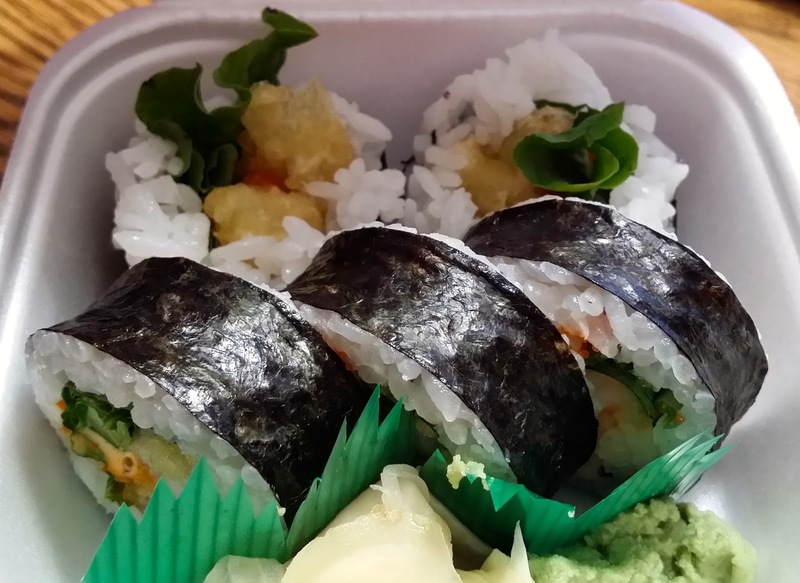 The tempura in the roll was crispy and extremely flavourful, and the shrimp was juicy. 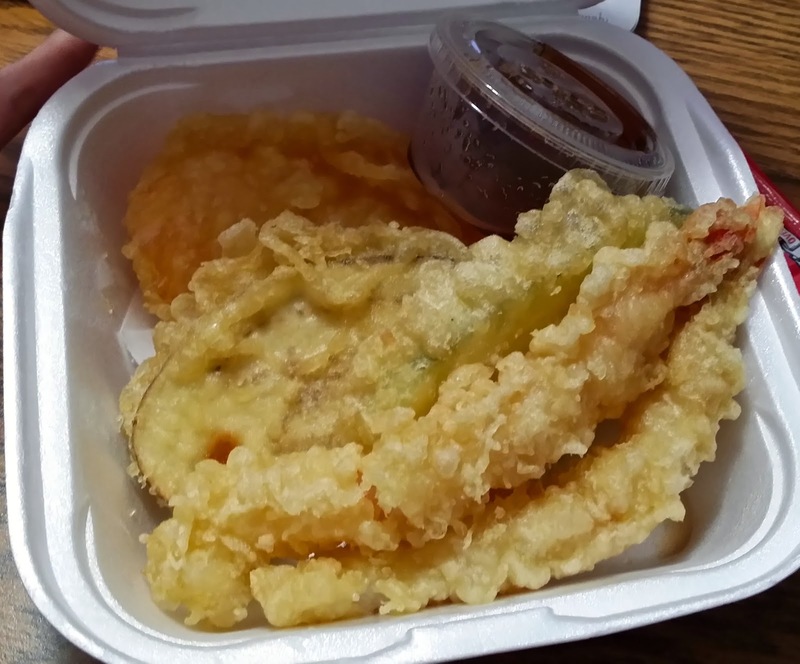 The orange sauce had a spicy kick to it, which really complimented the tempura. The rice was also distinctly japanese, as it had a slightly sour/sweet taste to it, which I really liked. 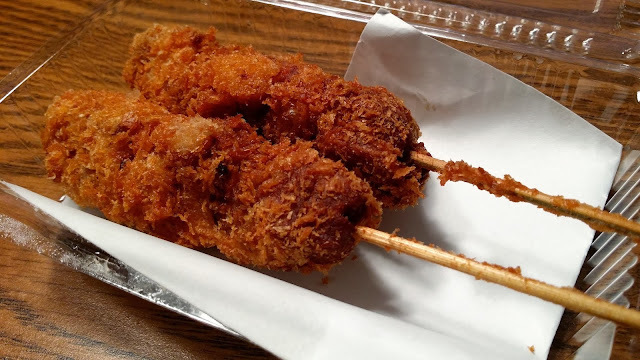 I'm a huge fan of katsu, which is basically Japanese fried pork. They had a skewer version of this, so I just had to try it! It's a little pricey at $3 for 2 small sticks. The exterior was perfectly crispy and fragrant. The meat itself was a bit bland though, so I dipped it in the sweet BBQ sauce it came with. The tempura was the most flavourful I've ever had, and the aroma of it filled my entire room. The exterior was so crispy, hot, and savoury. The interior was crispy as well, and the vegetables and shrimp weren't limp. I then proceeded to consume the entire container like a maniac. The verdict: One of the best authentic Japanese restaurants near the Burnaby/Metrotown area. The tempura made my mouth water, and the dynamite roll was delectable. Albeit, the portion sizes were small, but it didn't leave me feeling bloated, which was a plus. 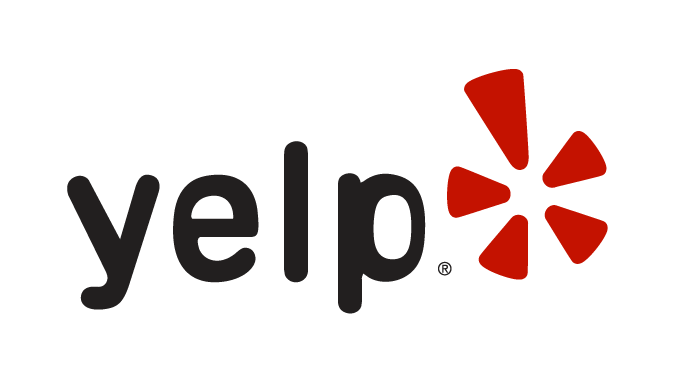 Overall: lovely ambience, polite staff, and amazing food!